A Gift basket full of bath products and a $50 Gift Card from Taste Of Egypt! 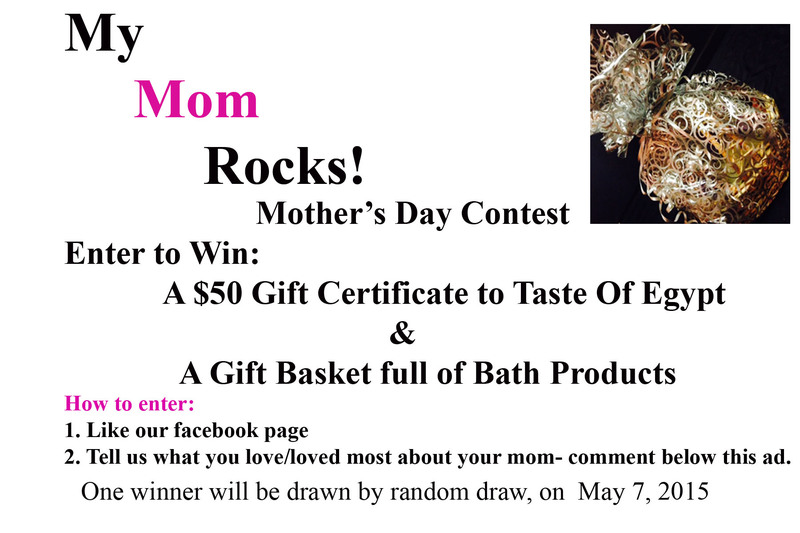 Just like our page and post something nice about your mom under the ad for the Contest. It is that easy. Good luck to all!